At Bargains Online we strive to bring you the best bargains on variety of products. 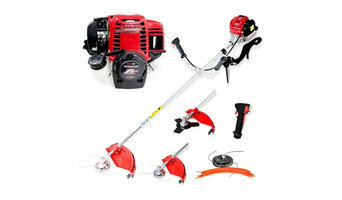 We stock everything such as home and garden equipment like lawnmowers, brushcutters, chainsaws, pressure cleaners and much more. You can either buy online or in store. You are sure to find a bargain at Bargains Online. House of Bamboo® offers Australia's most varied collection of classic and new natural materials. Our quality range encompasses bamboo fencing, fence cladding, bamboo screens, privacy screening, overhead shading, wall panels, ceiling panels, decorative screens, fire pits and bamboo flooring. All of our high quality products are environmentally appropriate, thoughtfully designed and competitively priced. The materials are easy to work with and bring natural texture and beauty to any commercial or residential interior or exterior space. Our mission at House of Bamboo® is to provide high quality natural materials, which can be integrated into contemporary settings, bringing a peaceful natural ambience and beauty. With over 45 years of Eco-friendly commitment in Australia, House of Bamboo® offers extensive experience in sustainable indoor and outdoor design solutions. Whether you are in the industry or a DIY renovator, our aim is to help you find a solution to your building needs. TABA® Decor is a family business offering a unique range of premium quality fibre reinforced planters for both commercial and residential uses. We’ve identified a demand for good quality pots & planters by people that wants to create a luxurious yet relaxing atmosphere to their living spaces without too much hassle. TABA® Decor is your portal to discover top quality, stylish, exquisite & contemporary planters that inspire & assist those that want to further enhance their living environment. Dicko’s Property Services is Australian Owned and Family Operated business with a vision and goal to build a high class quality service within Sydney’s community, offering personal attention to detail in each task. 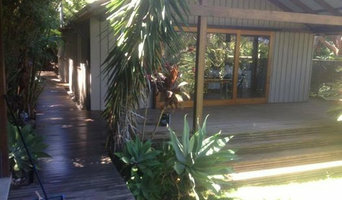 We are based on the Northern Beaches of Sydney, but travel Sydney wide to assist our clients. We guaranteed a high quality of workman ship, outstanding work ethic with reliable and friendly service. Our team have the skills, ability & passion to get the job done. The team is 100% committed to customer satisfaction. Dicko’s property services caters for all your gardening ,landscaping, rubbish removal, and pressure cleaning needs. No job is too small or too big. 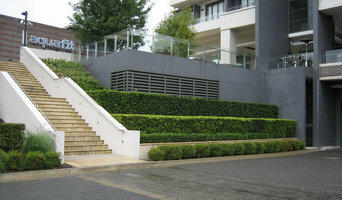 Vertigro is a market leader in the design and manufacture of Vertical Gardens / Greenwalls products. Our system is Australian Made, 100% recycled and is one the the most water efficient systems on the market. Family owned and operated Bamboo Habitat is an importer and distributor of premium bamboo screening / fencing products ideal for residential and commercial applications. Mosarte is a award-winning boutique retailer based in North Manly specialising in soft landscaping services for the design, maintenance, landscaping and horticulture of your garden, courtyard or balcony. Mosarte’s team is highly qualified and has over 30 years of experience in the gardening and horticulture fields. We ensure that all our plants and products meet strict quality criteria, while matching the outdoor Australian lifestyle. Mosarte provides unique outdoor furniture, garden pots and planters with designs that match the outdoor Australian lifestyle. Complementing alfresco areas and changing the way Australians use pots and planters are part of Mosarte’s business goals. Moreover, the brand ensures that every product strictly follows quality criteria. Our award-winning Chelsea pots are one of our top-selling products and are exclusively designed by us. 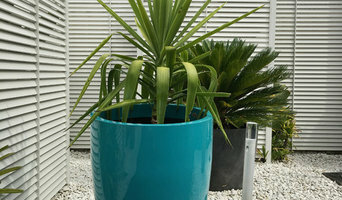 The Alfresco and Swisspearl pots are also among the most popular items in our store. Our modern garden products are made from a combination of natural products and composite materials. Most products are available in a different selection of finishes and colours. However, they all have one feature in common - they’ve been designed with the end user in mind. For Mosarte, client satisfaction is a priority. As such, we offer outstanding customer service with qualified team members who can provide expert horticulturalist advice and design consultancy. "mbers who can provide expert horticulturalist advice and design consultancy. Every space is uniques so let us help you with your customised laser screen requirements. Over 70 stunning design to choose from. View our portfolio at www.minkflamingoscreens.com.au Laser cut screens located on the Central Coast near Sydney with delivery Australia wide. 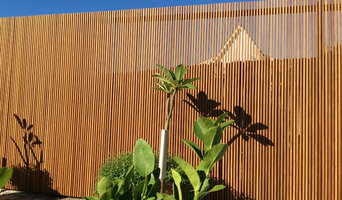 Any size laser cut metal screens, laser cut screens in Sydney and laser cut garden screens delivered throughout Australia, laser cut corten screens custom made for your project, laser cut garden screens for outdoor use, laser cut cladding for building use, laser cut steel wall cladding, corten garden screens using long lasting weathering steel, corten steel garden screens and signs, laser cut steel wall art, laser cut wall features, laser cut corten steel decorative screens with laser cut design, rusty metal feature screens, custom laser cut rusty screens delivered to Sydney, laser cut panels and balustrades, laser cut panels sydney, laser cut aluminium panels with industrial powdercoat in your choice of colour, rusty laser cut screens delivered to the Central Coast, laser cut screens for commercial and domestic clients Sydney, all grades of Laser cut steel, laser cut balustrades in your choice of colour, sydney laser cut steel with fast turnaround, laser cut screens melbourne, laser cut screens, perth, we can deliver laser cut screens to adelaide, we can deliver laser cut screens to brisbane and we can deliver laser cut screens anywhere in Australia. Certified Indigenous supplier with Supply Nation. The Balcony Garden design and manufacture handmade garden pots and planters. Our ranges include light weight contemporary designs to Thai finish ceramic feature pots. Based in Sydney we deliver to Melbourne, Brisbane and the ACT. Citygreen envisions a world where sustainable green space is reachable for each person, with healthy tree canopies for cooling and shade, and natural resources are used for the advantage of humans. At Landscape Screens we design and manufacture laser cut and perforated metal screens. Suitable for use interior and exterior. Available in a range of materials and finishes. Landscape Screens are the perfect solution to all your privacy, security and decorative needs. Moodie Outdoor Products is a distributor, manufacturer and importer of high quality street/site furniture and sports courts, shades, bridges, restrooms, play equipment and landscape supplies. Most of the professionals in this category specialise in particular garden and landscape supplies for your outdoor space, from planter boxes to water features. If you’re undergoing an upgrade, they are an invaluable source of knowledge and expertise. A Castle Hill, New South Wales professional who specialises in garden pots and planters, for example, will not only have a broad range of product available, but will know their terracotta, ceramic and concrete pots inside-out – and which one will best work for you!